I published this post on The Phraser at the end of February 2016. February is a grand time to be on the Bay of Naples. The sun might not always be there, and it might be chilly, but there’s always coffee and plenty to explore … plus, of course, you’re bound to bump into a cat. Last week a bonny, blond portrait painter came to stay. We took her to see the sights: old fishing harbours; castles; artworks; views; and we fended off the men … but it was the cats that caught her eye. I looked where she looked – this is for her. This entry was posted in Bay of Naples, Italy, Other discoveries in the Bay of Naples and tagged Bay of Naples, Cats, Italy, Napoli, Positano, Pozzuoli, Procida, sea cats, Tom and Jerry. Bookmark the permalink. 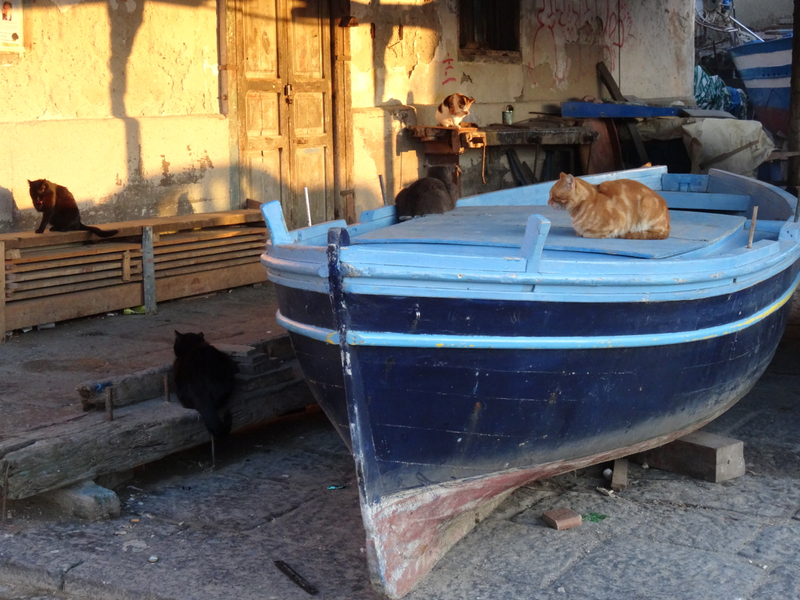 Thanks Antoinette – the cats in Pozzuoli have such fish-fed confidence!